I just wanted to show you the difference in the two procedures in terms of the donor area. I had my 2nd procedure with Dr Armani on Wednesday & this time it was an FUE procedure. The FUE procedure was so much better in terms of pain & healing (so far) - I have taken over 150 photos since being back in my room, but I forgot to pack my cable which connects my phone to a laptop & therefore will post the rest when im home on Tuesday. I would 1000% recommend FUE over FUSS because of the advantages & also the less pain & faster healing. Here is a photo that was taken by one of the team at Alvi Armani when I went for my clean up on day 1. Even tho my scar doesnt bother me that much… when seeing this photo I do wish I had held out a few more years to have FUE for my 1st procedure, but the result I had changed my life, so the good massively outweighed the 1 bad point - The Scar. Ouch, I am sorry but every time I see a scar like this it makes my crawl, do you feel anything when you touch that scar? 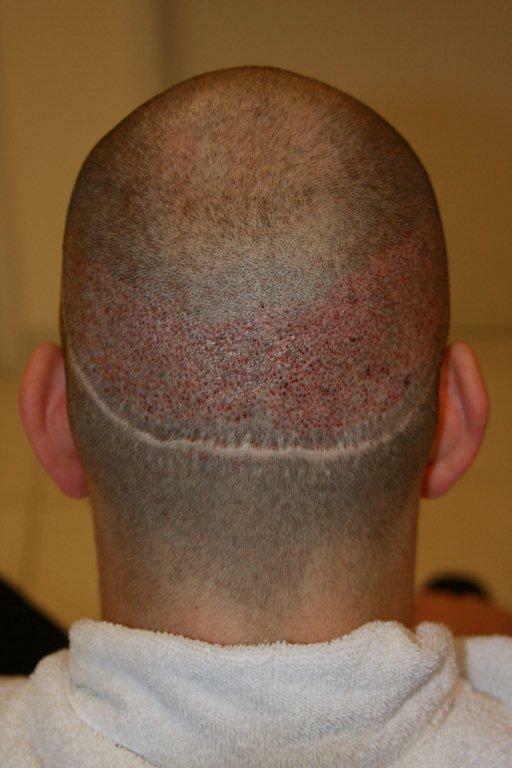 The 1st was to see what I looked like with a shaved head before deciding to have a transplant. Hi Dan, that is a great result! I think that thise pics are so educational. 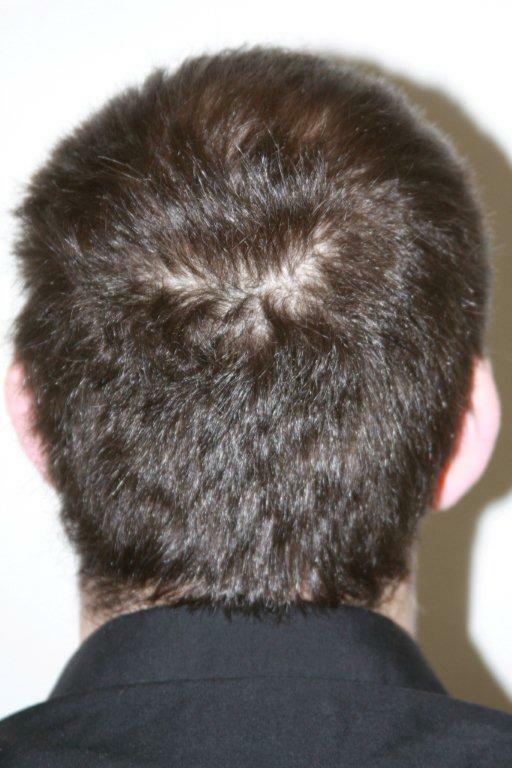 They show the impact of such a scar which is quite minimal at the length you keep your hair. You did not mention how many FUE grafts you had. Could you let us know? I will cover everything in my thread which will be up in a few days. Looks similar to mine Dan, looks like your scar stretched a tad more then mine did. Yeh probably due to the fact that I was pumping out heavier weights than you could lol!! No in all seriousness I should of waited longer before lifting weights again but still - I dont think its the worst scar from a donor area & its never visible when my hair is at its normal length etc. Did Armani regularly peform Tricho closure?